Police say an elderly man whose body was found in the sea at Seaford this week has now been provisionally identified. The man was found unconscious in the sea at the edge of the beach opposite Marine Parade, Seaford, a few hundred yards from Seaford Sailing Club just after 4pm on Tuesday (August 1). Clothes believed to belong to him were found on the beach near to where he was found. Police, Coastguard and paramedics attended and he was given medical aid including CPR but sadly he was confirmed deceased at the scene shortly afterwards. A postmortem took place today (Friday) and the cause of death was confirmed as drowning, say police. The death is not being treated as suspicious and an inquest will be formally opened and adjourned soon. 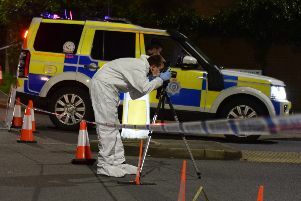 He has been identified as a man in his early eighties from Brighton. Following a media appeal on Thursday (August 3) relatives recognised the description of the man and his clothing, and contacted the police. Coroners Officer David Tye said: “Our thanks go to the media and public who showed interest in this case and publicised it.